Lancia cars introduced from 1907 to 1922 built on a single solid foundation: “Lightness with Reliability”. Conservative by later standards, in their day the earliest cars were novel bordering on the radical. They dared to use a high-revving engine (albeit with side valves) in a light and strong chassis, driving through a gearbox attached to the engine and shaft drive when chains were commonplace. Their design flew in the face of the prevailing wisdom that longevity demanded lots of litres and kilograms. Those cars received such plaudits from motorists and journalists alike, that Lancia adhered to the recipe, perhaps for too long. 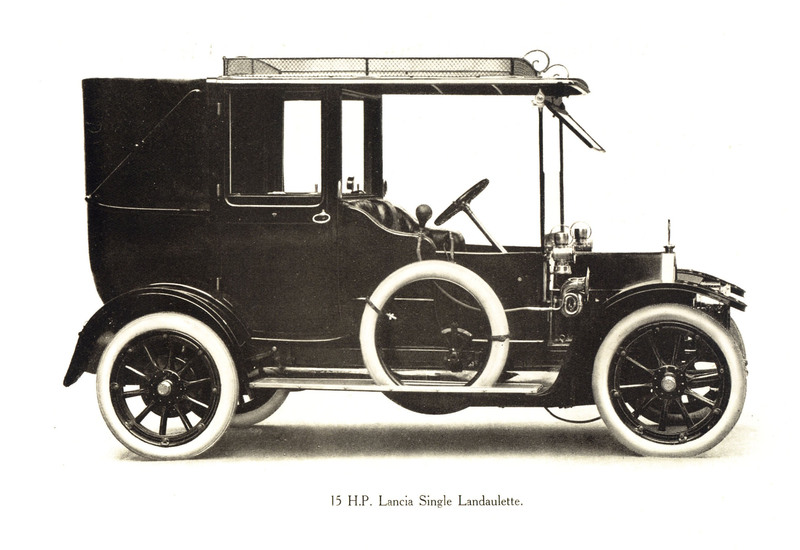 While front and rear tracks of 1330mm and a transmission drum footbrake were adequate for the 12-18hp Alpha of 1908, they were clearly outpaced by the 80hp V8 engine of the Trikappa of 1922. While the Lambda introduced in 1923 blew away any whiff of conservatism at Lancia, the Zeta stirred the pot much earlier. Chassis, engine, transmission and brakes followed established patterns on the Delta, Epsilon and Eta models introduced in 1911. But in the same year the 12hp (later named the Zeta) employed an entirely new (but still side-valve) four-cylinder engine that was a true monobloc, and a light but carefully stressed chassis; but that is where the similarities to its stablemates ended. The engine was, as with previous models, lubricated under pressure from a pump, but in the Zeta that pump doubled as the valve-timing gears; oil was fed into the oil-tight case and the gears were used to pump it through galleries in the engine. The water pump was located in the crankcase and a turbine located in its outflow was used to drive the front-mounted cooling fan, obviating any need for belts or gear drives. Its transmission was mounted at the rear in unit with the differential, while its clutch was a patented device attached flexibly on springs to the front-mounted flywheel. Drive was transmitted via a torque tube. There were two crownwheel and pinion sets and the gearbox offered direct drive on third gear via the front set and top gear via the rear set. 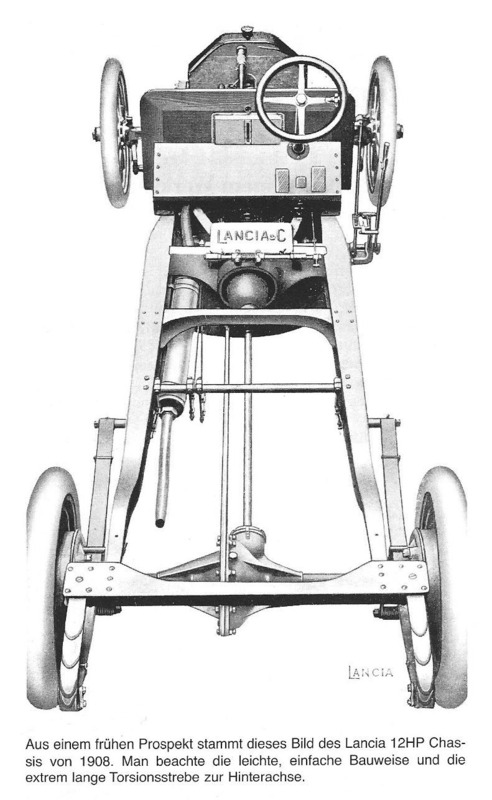 First and second gears were obtained via a lay shaft and the front crownwheel and pinion. 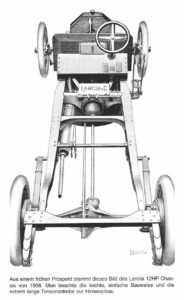 Since the drive shaft was enclosed within the torque tube, a standard drum footbrake was not possible, so both foot- and hand-brakes operated separate shoes in the rear drums. Such design anticipated widespread practice a decade later. 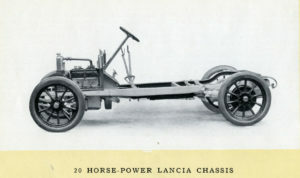 With an output of 30hp at 1800rpm, the engine should have been competent to drive the light (740kg) chassis in sprightly fashion, providing coachbuilders observed the factory’s admonitions to keep their bodies light; quoted maximum speed was 110km/h, which was little short of exceptional for a 2.6-litre car of the time, and within sight of the Lambda’s 115km/h 12 years later. 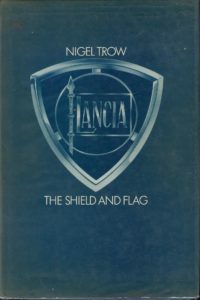 Yet despite its novel specification, the model has been ignored by factory data including official histories by Lancia historian Ferruccio Bernabo. There is no known road test or motoring journal appraisal of the model, and no known survivor. We know nothing about the success of the car’s unique clutch and double-direct transmission, nor anything about the car’s road performance. Estimates of production vary from 34 to 80 in three years, so we may conclude that the market suspicion which sometimes greeted the first Lancias (too light, too high-revving) was if anything heightened for the Zeta. We know that one car came to Australia (what was its fate?) and an engine survives in England, but documentary evidence is scarce indeed. The 12hp Zeta hinted at the forward-thinking design that was to become a Lancia hallmark, and deserves a more prominent place in Lancia lore. 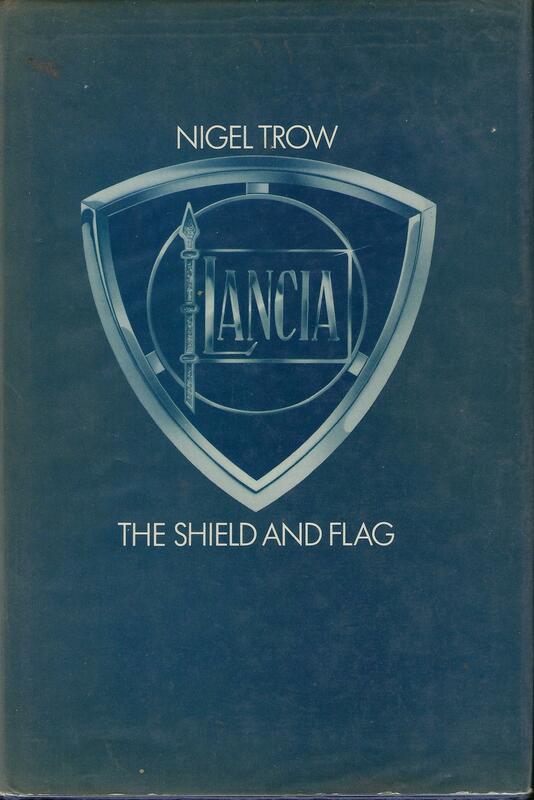 (Note: perhaps the most comprehensive coverage of this intriguing model can be found in Nigel Trow’s book The Shield and Flag, pp186-192).